What is Online Affiliate Marketing? Professional Career in the Future! We are convinced that being an affiliate will be an accepted professional career in the near future! Online Affiliate Marketing is a very powerful business model for both producer and reseller. Sharing passion, dedication and drive to promote physical and digital products and services can push any business to the next level while both sides profit from market traction. The use, implementation, and opportunity of the business model for both producer and reseller are very different. Read the introduction below to find out, how you can profit from one or the other side in your own business. The most widely known use case of Affiliate Marketing is provided by Amazon. You can go to Amazon Associates and by joining the program you can sell any product on Amazon by publishing a specific link to the product of your choice to earn up to 10% in commission for your recommendation. This is a very interesting approach for those of you who want to write product reviews or produce Youtube videos, reviewing or recommending products. Also if you like to read you could recommend any book from the Amazon bookstore. Amazon is not the only provider of products that can be sold as an affiliate. Almost in any sector, you can find products to sell. Travel, dating, programs/apps, health, beauty, games, events … for many products in these sectors, smart marketers have built the affiliate model into their distribution channels. If you are a producer of a product or if you are a service provider, you would normally use a marketing agency to take care of the marketing, sales, and distribution side of your business. You could then fully concentrate on the production and business management. The services of a marketing agency are expensive. They can bring you lots of customers and sales. If you stop paying the agency services the customer flow will stop almost immediately. Companies like Amazon decided to avoid the use of agencies to promote the products on their platform. They decided to better use the funds, reserved for marketing to pay commissions to individuals. This developed to be a very strong approach. Independent Affiliate Marketers are highly interested in doing their best to trigger the sale of the products they provide in their portfolio. Both SFM/DEA founders, Stuart Ross and Jay Kubassek made their fortune at the beginning of their career by selling products as affiliates when advertising on the internet wasn’t popular. Selling products on the Amazon platform and other online stores is still widely used by bloggers and influencers. While this business model is not very difficult to understand for physical products, many individuals struggle to understand and accept that it can be used very successfully for selling digital products as well. Selling products on Amazon grants you one time commissions for the referral. Actually, if you bring a buyer to the platform and he skips your product but stays on the platform and purchases another product you earn some commission as well. Even so, most affiliate programs stop there. If the customer comes back on another day you will not get any payments anymore. The commissions you can earn by being an affiliate reflect your profits, while costs are reflected in your investment of time and money to make your marketing work. 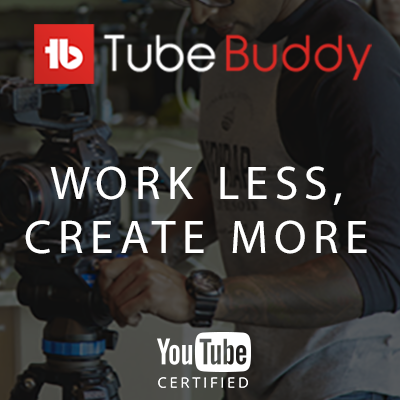 If you run a successful Youtube Channel or Blog the earnings through affiliate commissions might just be a nice to have income stream, but if you want to run this business model professionally, running ads on different platforms and paying for the promotion, you have to think about the costs per lead and costs per acquisition, turning the lead into a buyer. When you just have the opportunity to earn affiliate commissions for the initial sale, this means the price per acquisition has to stay below the commission price. Some people and agencies run ads for low-cost products to the masses where they need to make lots of sales. The game changes, if you sell high ticket products and also participate in the upsell and the recurring subscription fees. Different producers use different platforms and technical setups to implement the affiliate business model. Some producers work with special links, some work with cookies, some provide you with marketing material like banners or even entire websites and some even provide education about how to sell the products. If a customer buys through your link, your sale normally gets registered in the producer’s backend and you will be paid when reaching a certain minimal amount, monthly or according to the contract you accept as an affiliate. Payments are then normally wired to an account of your choice like PayPal or any classical bank account. Your success as an affiliate is directly correlated with your ability to use the internet for your marketing. In theory, we distinguish between paid strategies and free strategies. For paid strategies, you have a variety of possibilities to use social media platforms which is the most common way nowadays to market anything. But banner ads and e-magazines can be powerful tactics, depending on the product you are selling. After a user action on an initial ad, it is common these days to use retargeting through the different social media platforms to optimize conversions (convert a prospect into a buyer). While ad costs can be quite high in dependence on the platform, the placement of ads does not require profound technical skills and the platforms provide a real boost to your website traffic. Free strategies can be very powerful, especially for influencers with lots of followers like artists, bloggers, YouTubers or athletes. Another way to create free traffic is to SEO (Search Engine Optimization) your website, so Google, Youtube, Facebook and even Amazon display your website and articles in their search results. While you get instant traffic from paid strategies, free strategies are longterm strategies and very attached to building your brand. They are called free, but the price you pay is your time. If you stop running paid ads, the traffic to your website will stop almost instantly, while free strategies can generate traffic to your website years after your initial effort. Marketing in the online space is proofed to be most effective if some form of list building is applied. List building is the process of building a list of customers. In the offline world, every business collected addresses and fon numbers of their clients. In the online world, e-mail addresses have become the most important data of customers to send them information and promotions. You can buy e-mails of customers from many different sources. First of all, this is illegal according to the current law in place in most countries. This is called spamming! Second, it is well known, that the worth of such email lists is almost 0. The strategy of using email lists is only successful if the owner of the email signed up for your news, topic or product promotions. If an email owner can’t associate the information in an e-mail as well as the senders address he will consider your mailing as spam! To build an email list we use Lead Capture Pages, dedicated Websites with the sole purpose of getting the subscription. An email and the owner of the email in this context is called a lead, a possible customer. In times of social media and evolving chat functions on the platforms, the list building process can be adapted to other forms of connection with possible customers. 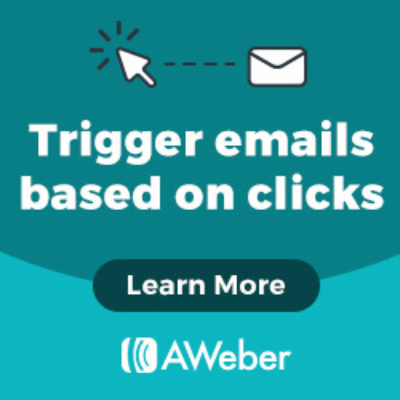 It is common to “own” the email list in a mailing system like Aweber or MailChimp. You have to be aware, that you don’t “own” the customer information on platforms like Facebook. Any change on the platform could make all your contacts unavailable. If you consider to get involved with Affiliate Marketing and use this business model to make a living, it all comes down to your education! While the early adopters like Stuart Ross, Jay Kubassek, Tim Ferris, Gary Vee, Tony Robbins, Neil Patel and many more were facing a steep learning curve, you have the chance to learn from their expertise. Education is not for free but it will cost you a lot more to get trapped in the online space and you might never become successful. Overwhelm: All information is online available for free but the mass of information hides the path of the best business model for you! Legal restrictions: The Internet is global and the laws are different for any country and region. To track changes can be a nightmare and legal consequences could kill your earnings or even send you to jail. Technical environment: Technologies are changing fast and it is absolutely crucial to stay focused on what will run the show in the future. Take Nokia of Kodak as examples and avoid running into dead ends. Some month ago I presented myself for a job as a programmer at a company, implementing shop systems for clients here in Switzerland. Bringing up the discussion about implementing affiliate systems for online store owners I was told, that clients do not want this here in Switzerland. Almost everybody is still relying completely on marketing agencies for promoting their products. I think they are missing out on the modern way of selling but it very much reflects the ignorance in my small home country, where we face some additional hurdles. Using affiliates for your online marketing as a producer might be a game-changing decision. It all comes down to the commissions you are willing to pay to people who love your product and are willing to spread the word. One thing is for sure: If somebody uses his own skills to market something he is convinced about and puts in his own risk to make it work he will be a lot more efficient! Real affiliates will not stop until they did what it takes for them to succeed and their success will be directly correlated to your own success. An agency will use their standard procedures to promote your product as long as you pay them. Most of these agencies still use old techniques to bring your product to the market. Many of them have deals with different media and they get commissions for placements. For example in newspapers and TV channels. When you stop paying the agency you will lose your traffic. If you set up your distribution model to include affiliate commissions into your calculations and if your product is good, you will find a community of loyal affiliates. They will love to promote your next product too! In comparison with an agency, affiliates use their own networks and get deep niche traction as influencers. Agencies will normally stay on the surface. For most modern platforms like WordPress and Magento you can find modules and plugins to implementing an affiliate business into your store. If you need technical support please send me a direct message to get through the case with you.